Marie-Hélène de Taillac likes the natural aura of stones to remain the focus of each design. 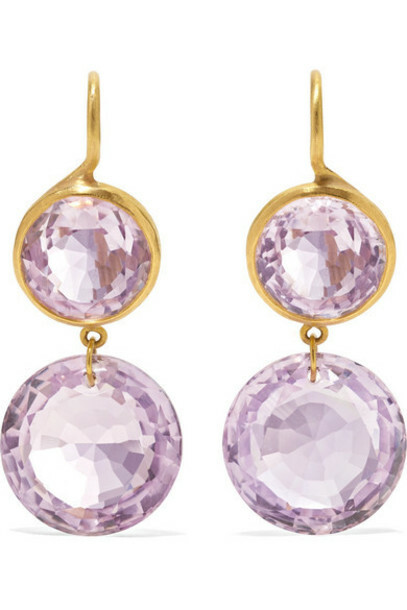 Made from matte 22-karat gold, these earrings hold two tiers of round-cut amethysts that are faceted by hand to catch and refract the light. A light wash of lilac eyeshadow will enhance the purple color even more.